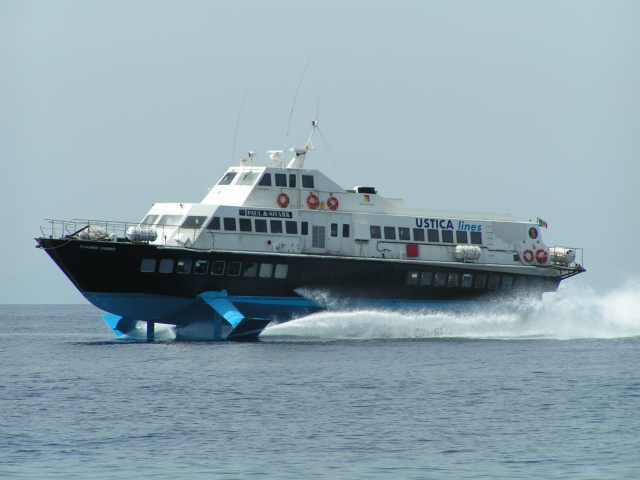 On our way to the volcano island of Stromboli, this Hydrofoil came past at high speed without any wake. 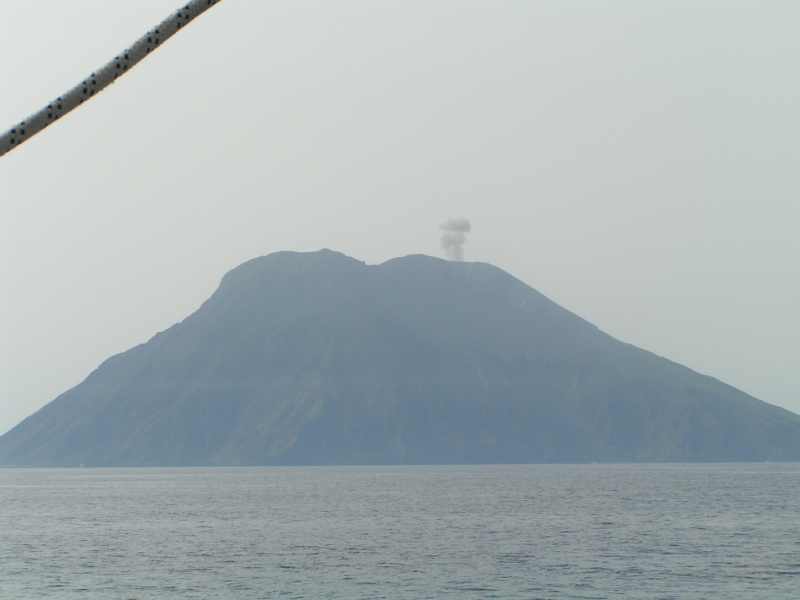 As we were approaching Stromboli and thoughout the day she had a minor eruption every 35 minutes or so with amazing regularity. 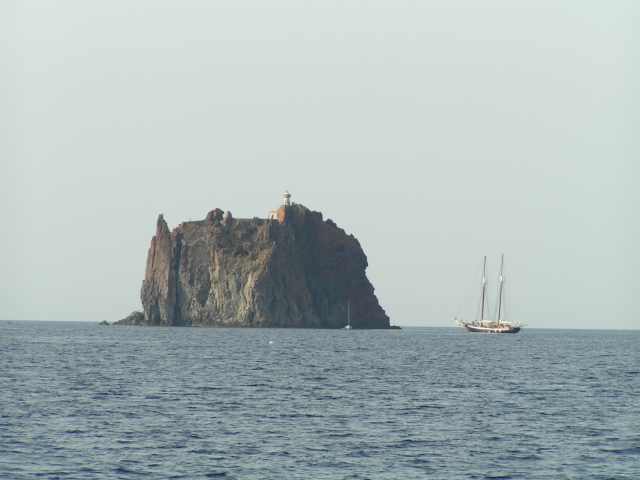 Strombolicchio, the little sister of Stromboli. 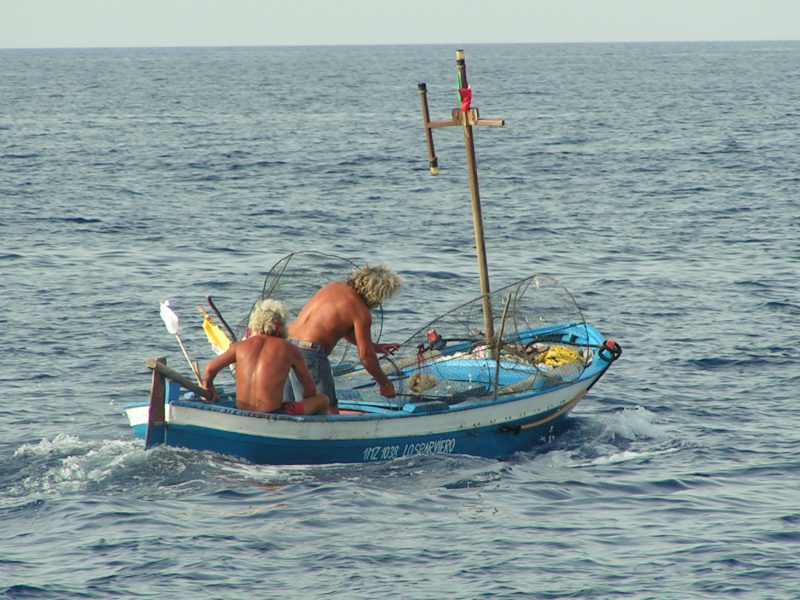 These are the descendants of the Liparese Seamen, tough, able and feared throughout the region. They had developed a reputation though the centuries of being the first salvage tugs, helping ships in difficulty, but were thought of as pirates, doubtless because of their claim on cargo. 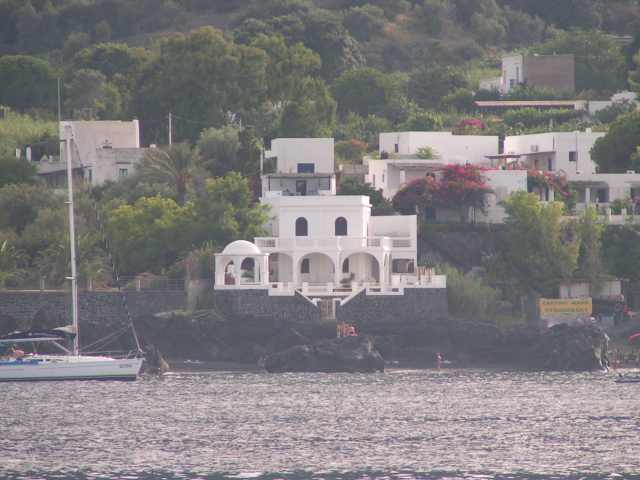 Laura took this photo as it was so striking, the contrast of the white house against the black volcanic sand. 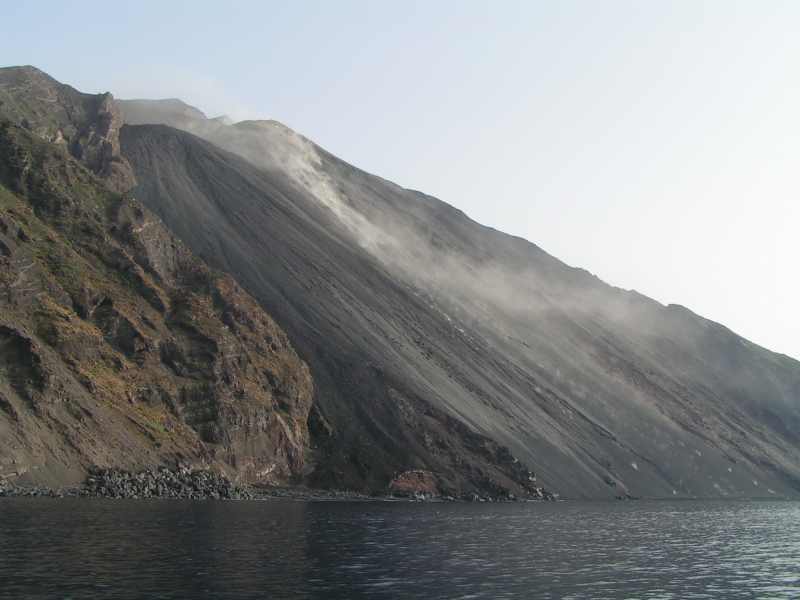 Here is the most active slope of the volcano. The entire slope is hot and glowing rocks come tumbling down, kicking dust puffs up in their wake. 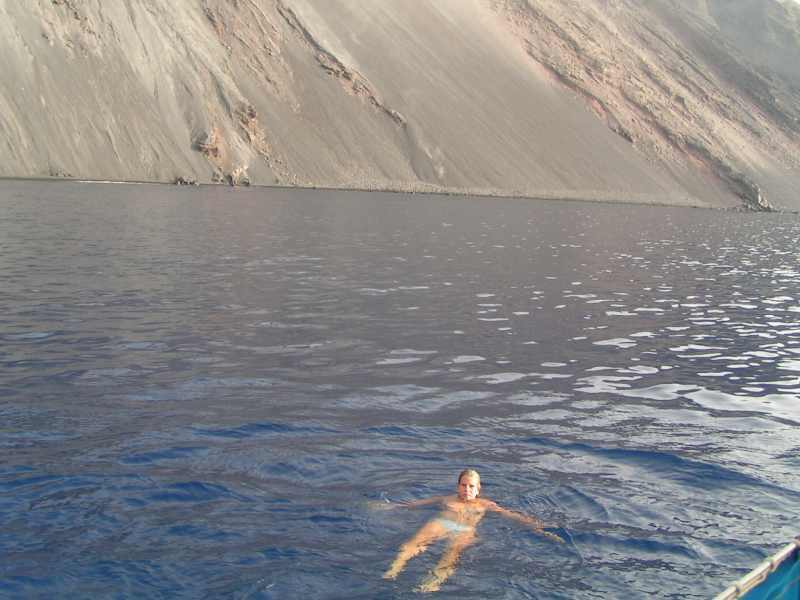 Here are some fantastic pictures of Stromboli in more active moods "Stromboli Online"